These allergy labels include a bold red font to ensure allergy warnings always stand out. 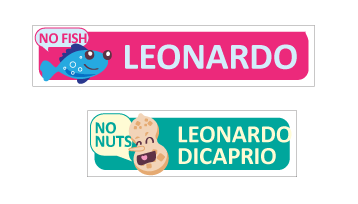 Available in square and round stickers. 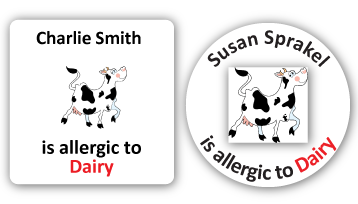 These unique allergy stickers include a bold design to ensure maximum warning of food allergies such as nuts, eggs, gluten, soy and dairy.